I can't remember the last time I wore a dress. It was a while ago. I am starting to crave wearing something other than jeans. 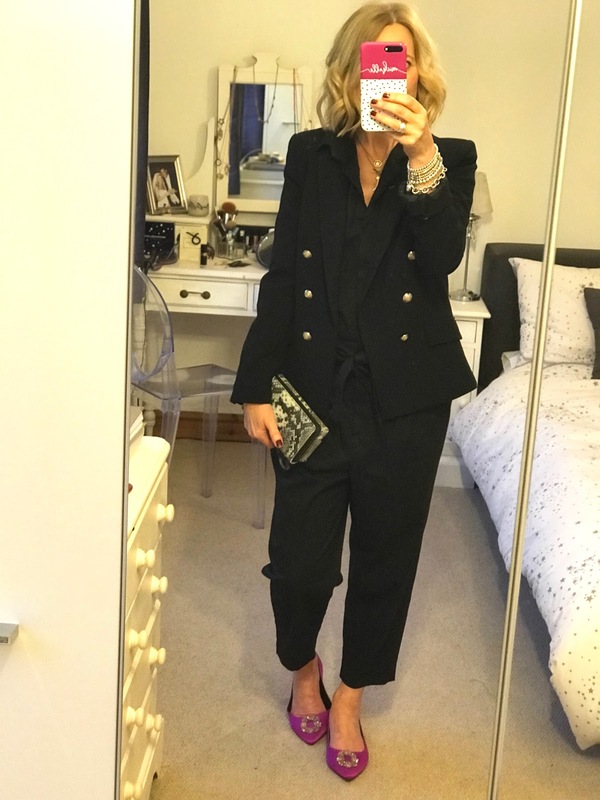 Whilst I was researching my Stradivarius red coat last week (I always check ASOS.....Premier means next day delivery so always worth a punt!) I *spotted* this little number. Guess what sold it to me? The red shoes. It was a done deal there and then. 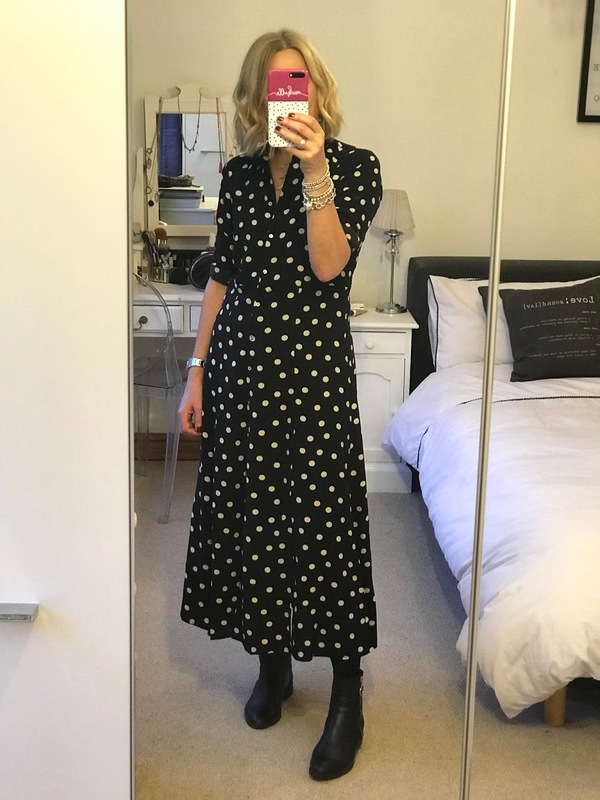 Stradivarius dress It's all sold out on ASOS as I hit publish but as luck would have it it's still in stock on the Stradivarius website, though annoyingly it's £6 more expensive (I had a £5 points voucher off mine making it £24.99). I got the size 8 which is perfect. 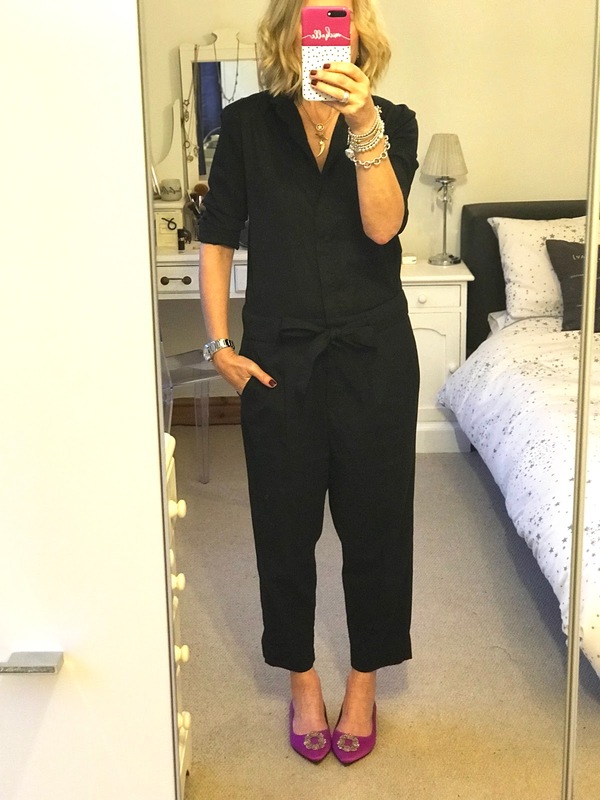 I thought I'd wear it straightaway with opaques, boots and layer it with a rollneck over the top. The only thing that puts me off wearing dresses at this time of year is that I hate to be cold. I best invest in some Uniqlo Heatec as recommended by Grazia Magazine this week. I look forward to wearing this with my Stan's once we can bear the legs! For today....no sweater or jacket was needed as it lashed down all day and I didn't leave the house! Speaking of Grazia........I'd like to thank them very much for the 20% off voucher in this weeks issue which resulted in a purchase! Be quick as the promo ends tomorrow, Monday 22nd January if you have your eye on anything. There is an online code GRAZIAJAN18. 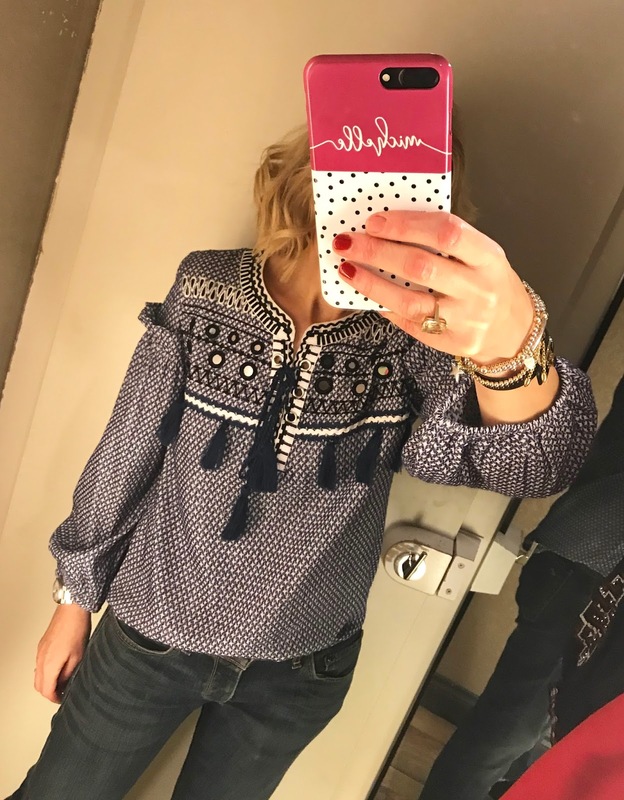 I've been Insta-fluenced into procuring this top as my lovely mate http://susiesoso.blogspot.co.uk....spotted on another lovely mate Chantel. The blame for this top rests on your heads girls! 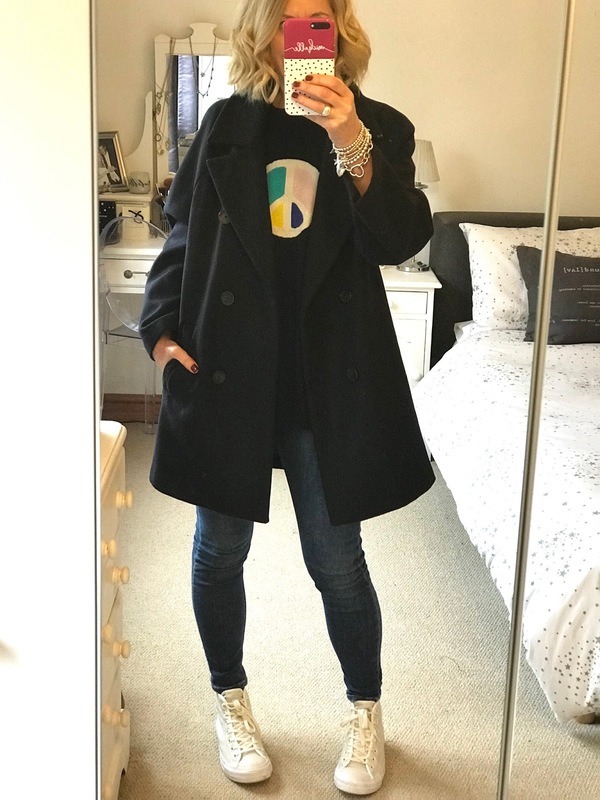 River Island top Koko Blossom phone case, gifted Recent outfit round-up! I think I best get the DH to hide my flexible friend until the end of the month....I've had a very spendy January..... pretty much everything has been full price too! My January acquisitions are all documented here.....I'm pretty pleased with how it's all shaping up for Spring! Back in a couple of days!